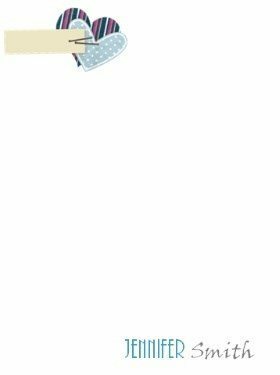 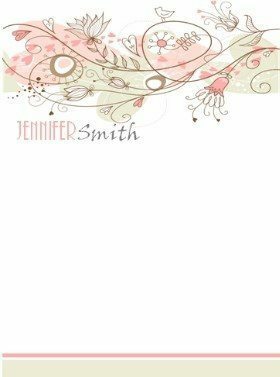 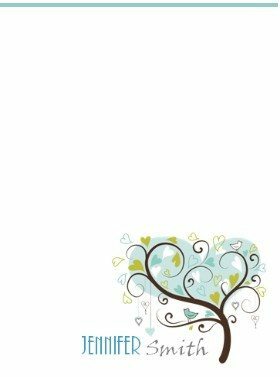 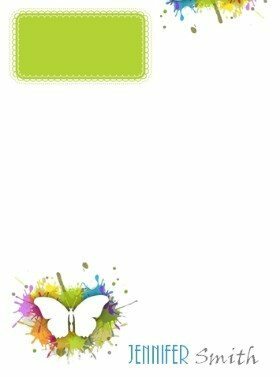 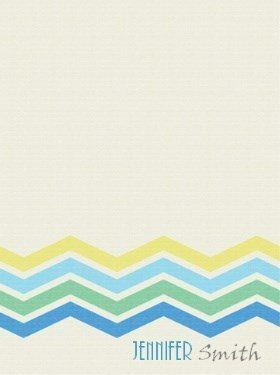 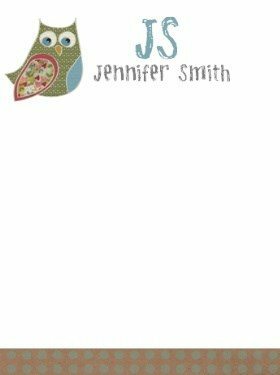 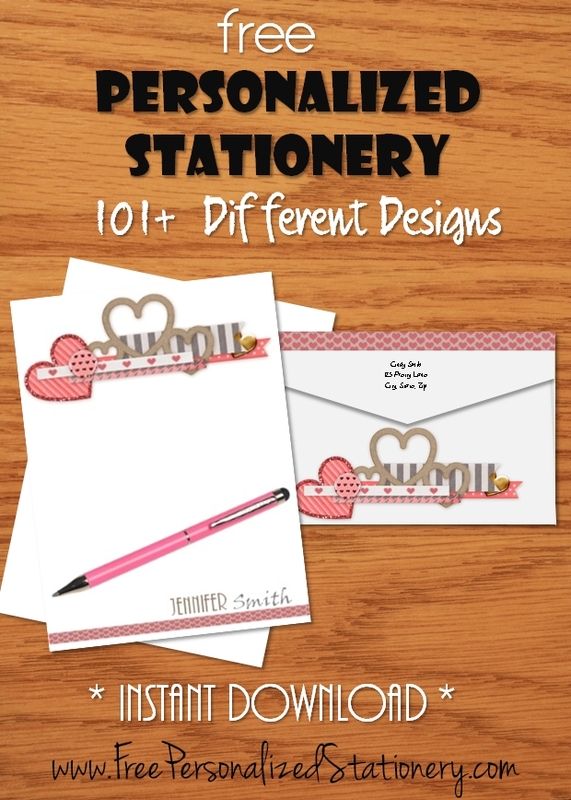 Choose the stationery template that you would like to use. 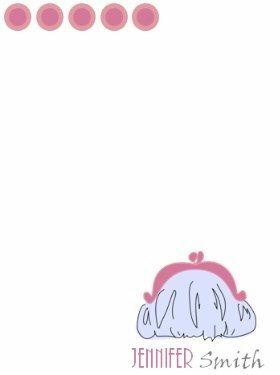 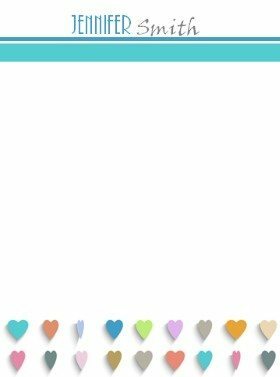 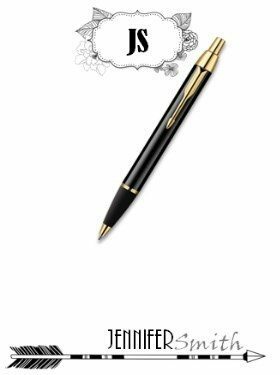 Type your name and any other text that you would like to appear (such as address or telephone number) and then download and/or print. 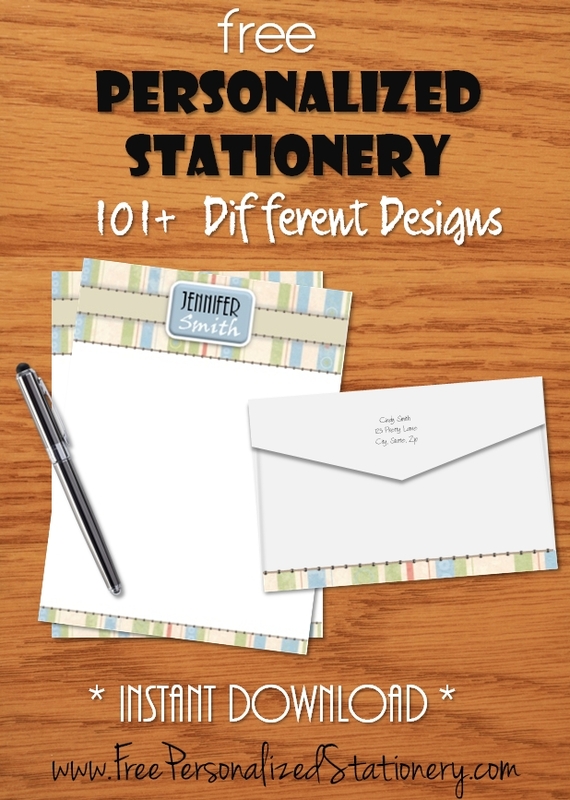 Letter writing is not what it used to be. 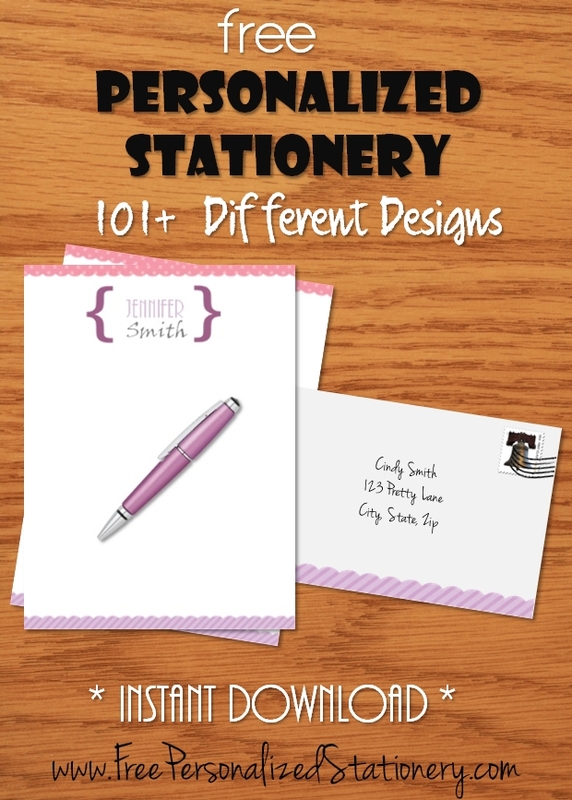 Today, in most cases, it doesn’t make sense to send snail mail when you can send an email or text that arrives within seconds. 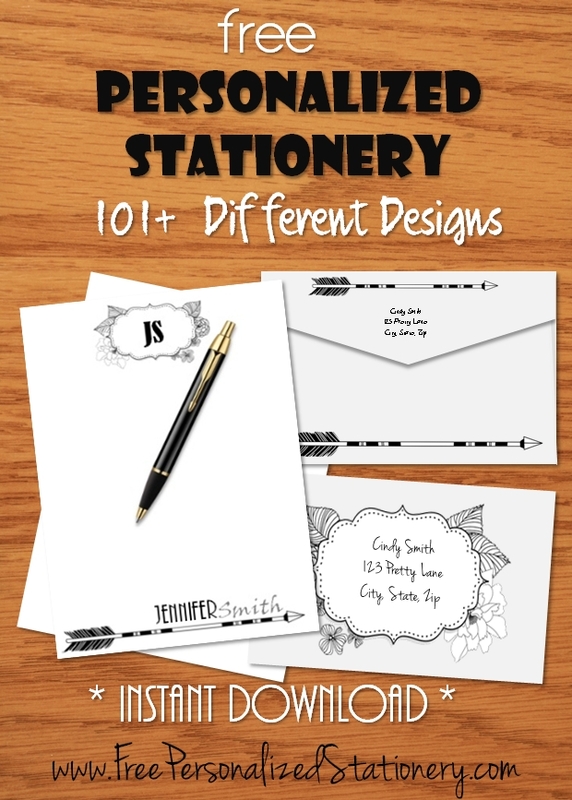 Even so, in some cases traditional letter writing cannot be replaced. 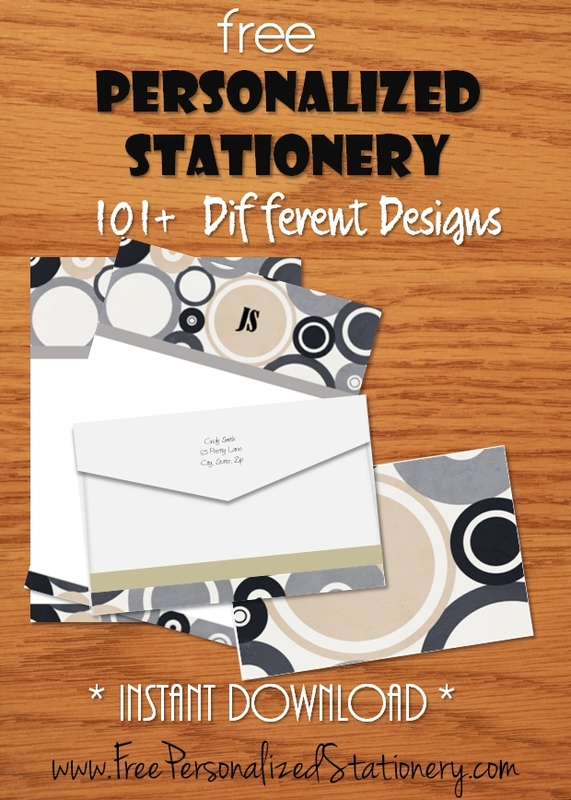 Receiving a letter in the mail is almost always more exciting than receiving a text or email and a lot more personal. 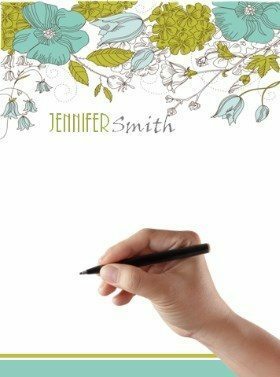 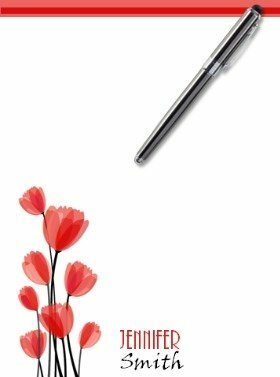 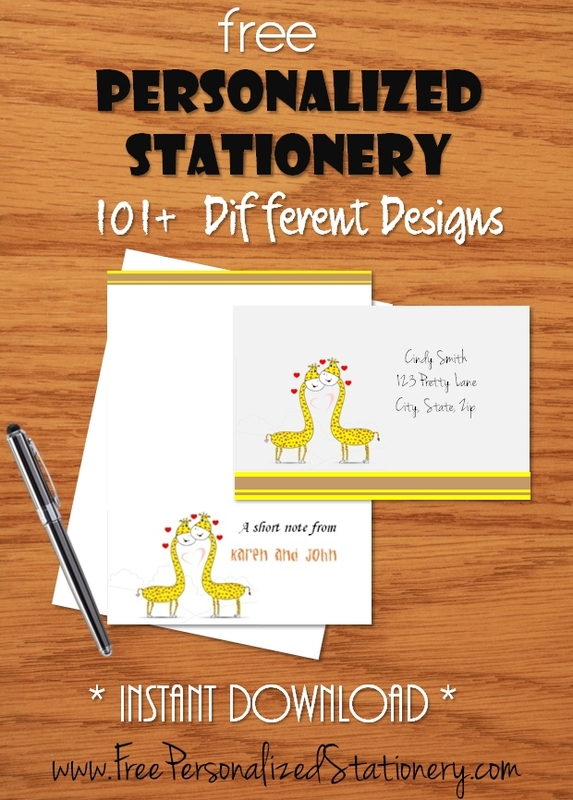 Since most people don’t write letters on a regular basis they often don’t always want to spend money ordering personalized stationery that they will not use enough to justify the cost. 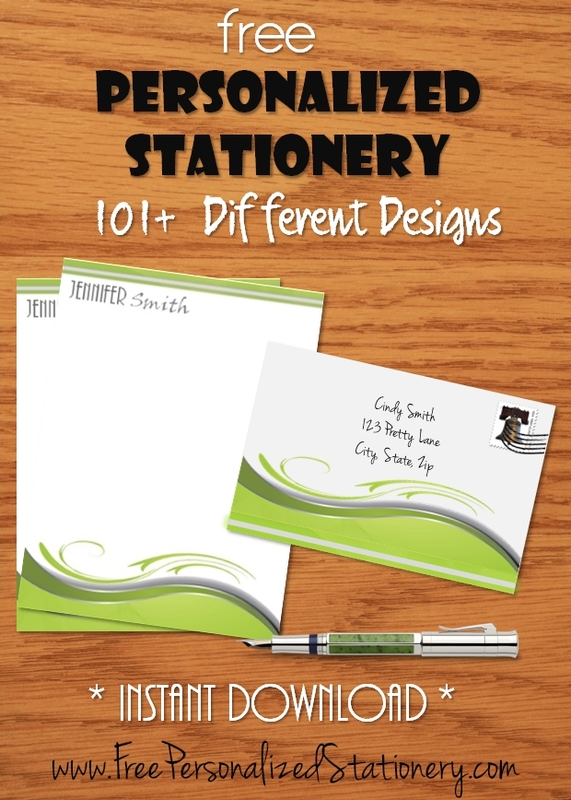 You are also often required to order quantities that will last a lifetime. 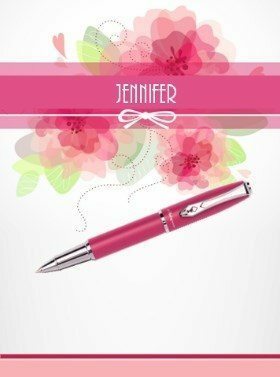 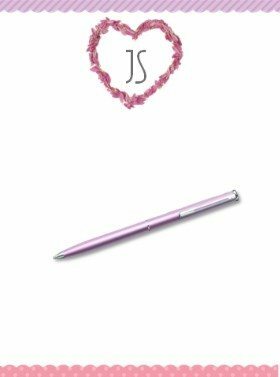 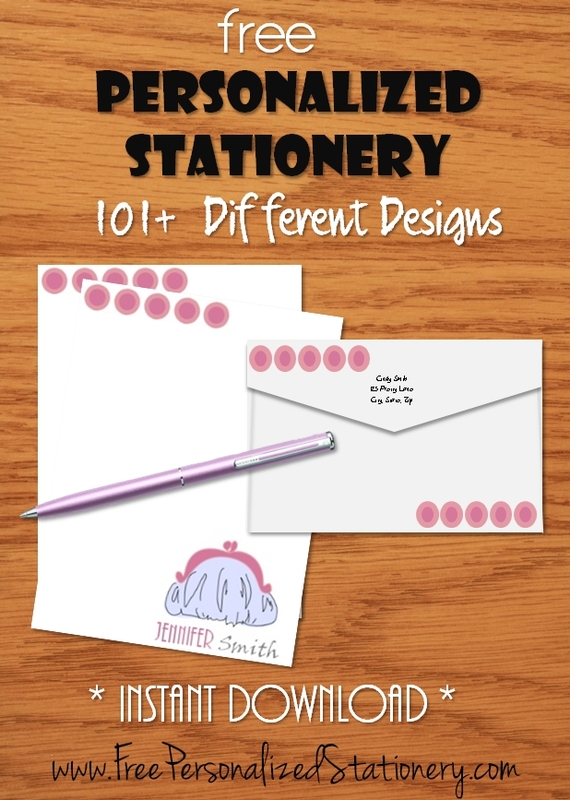 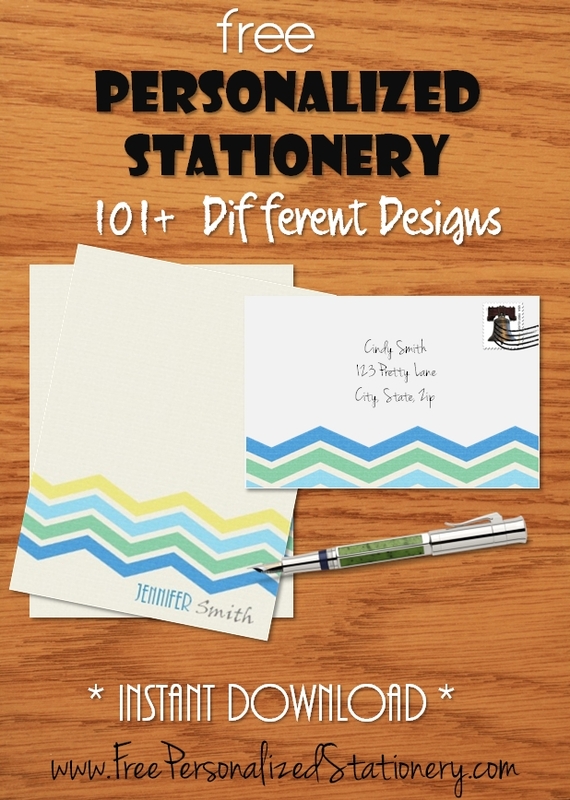 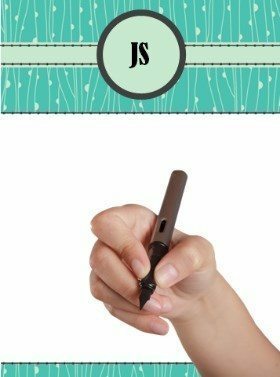 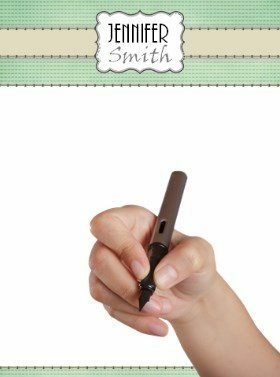 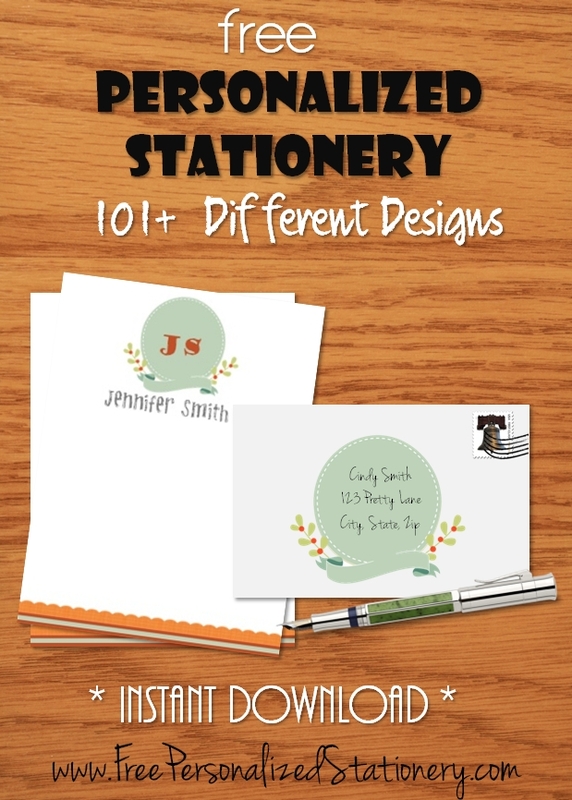 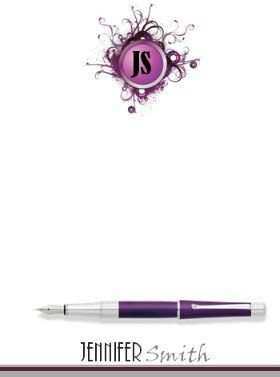 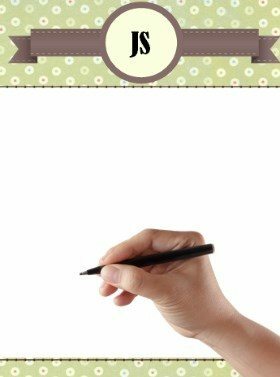 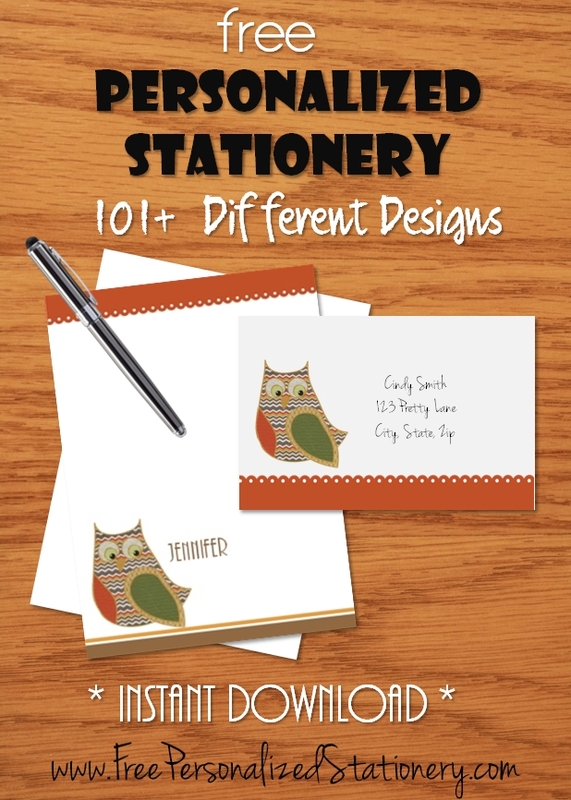 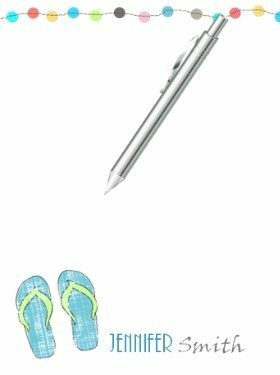 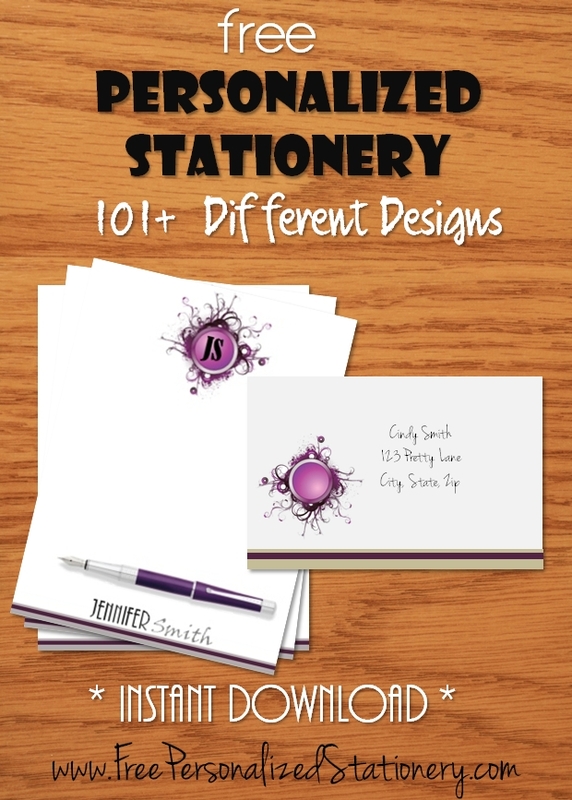 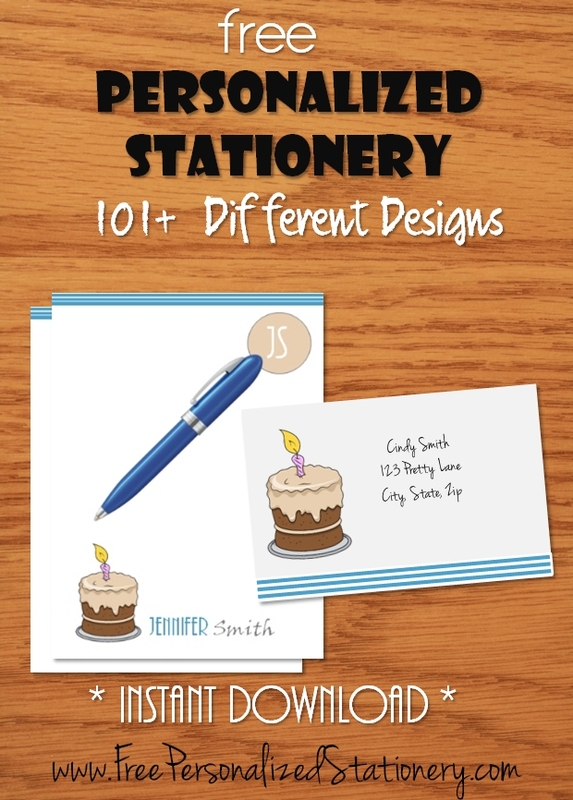 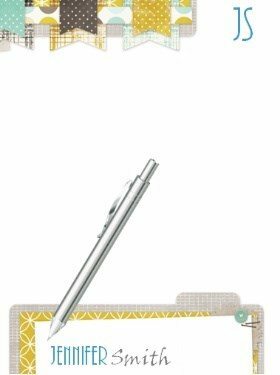 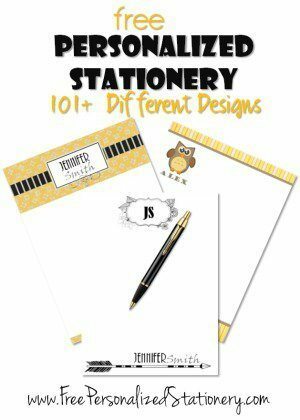 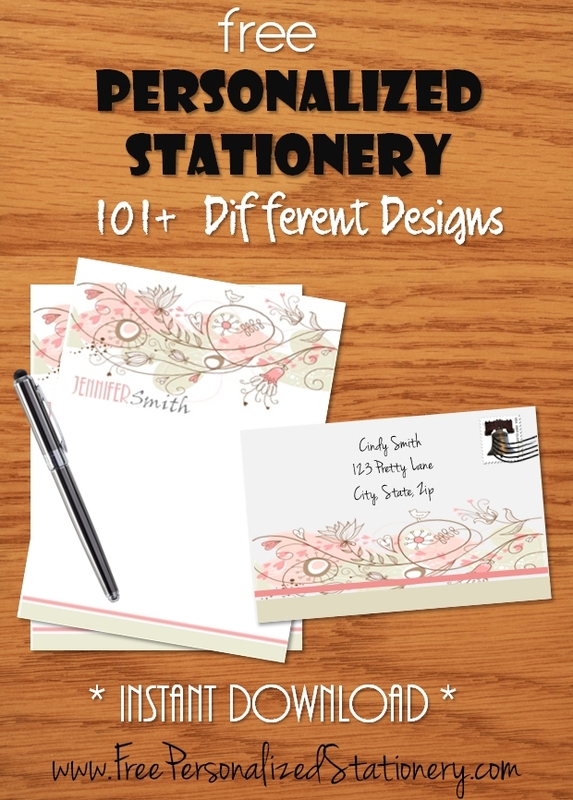 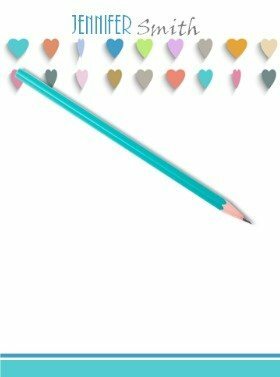 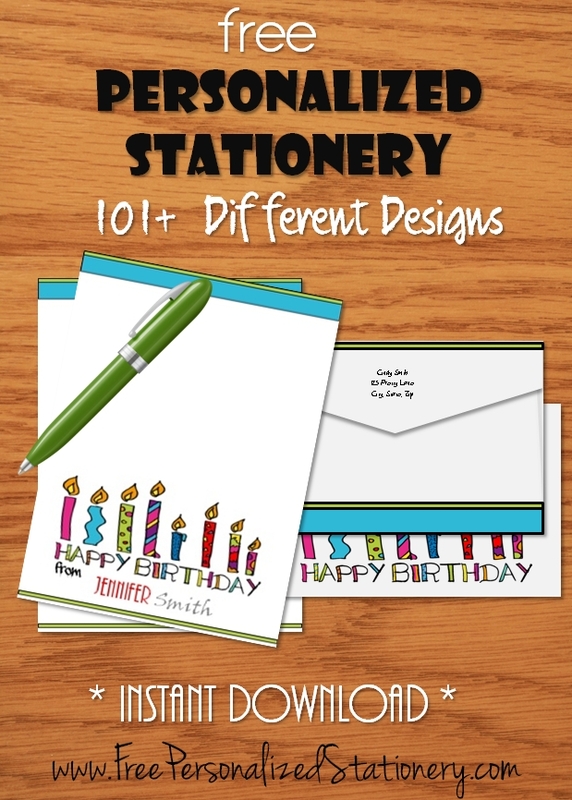 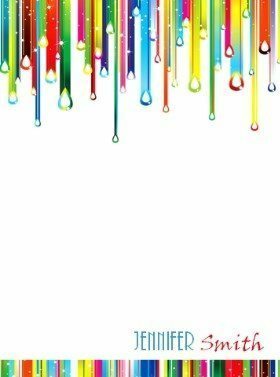 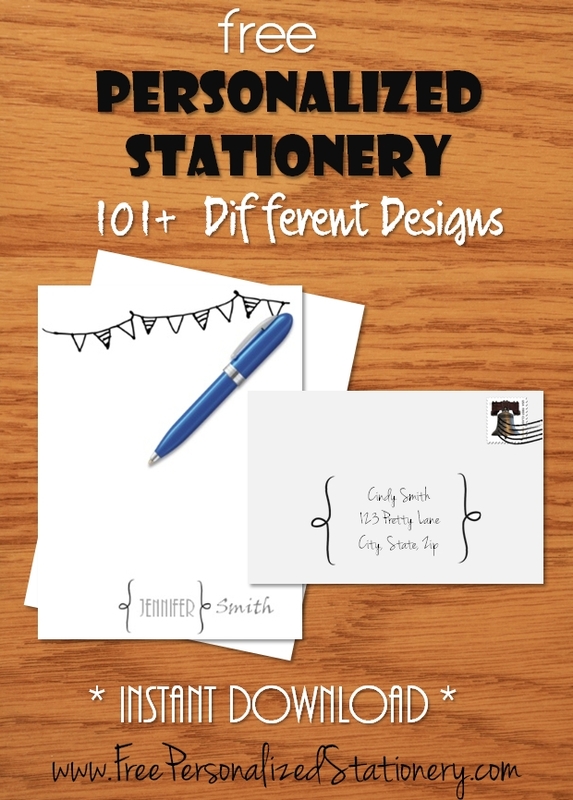 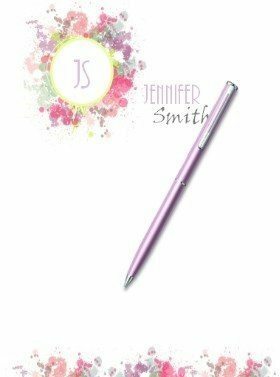 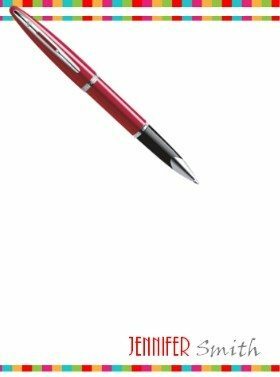 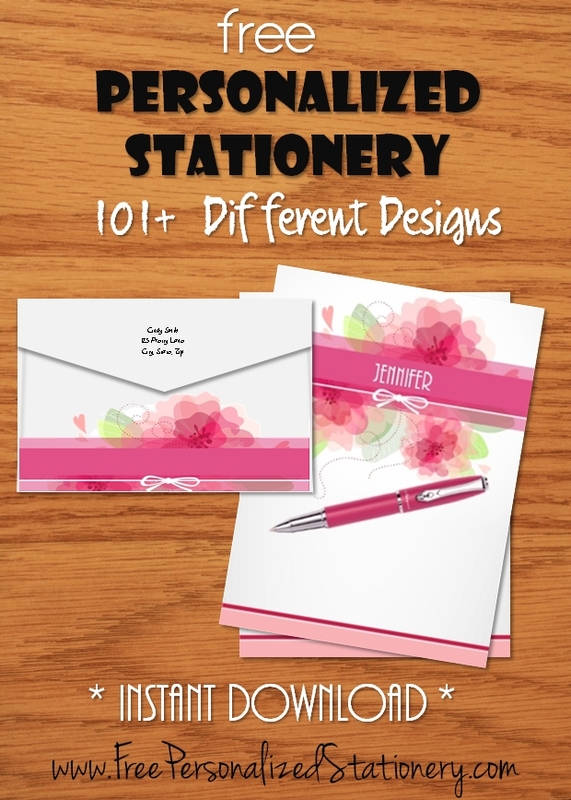 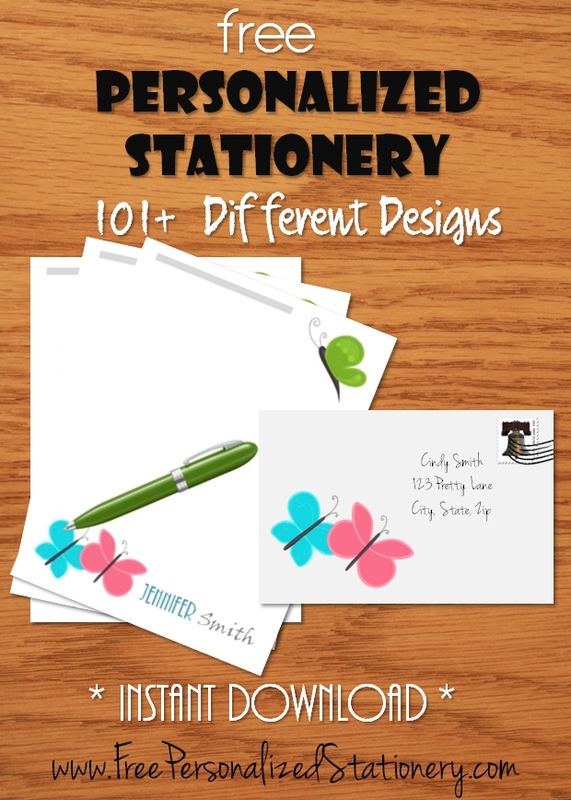 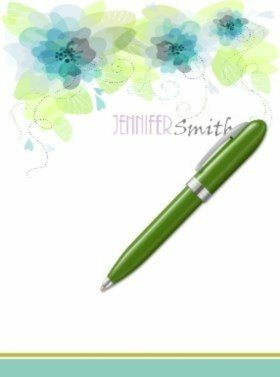 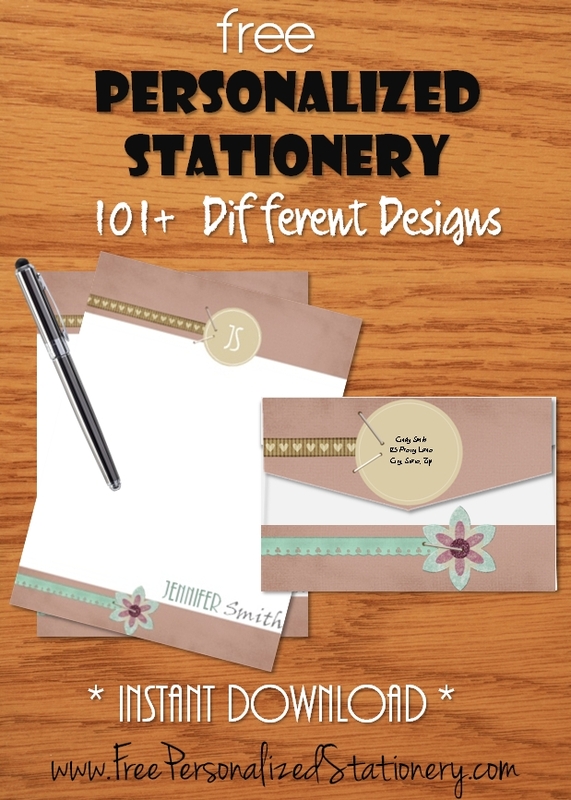 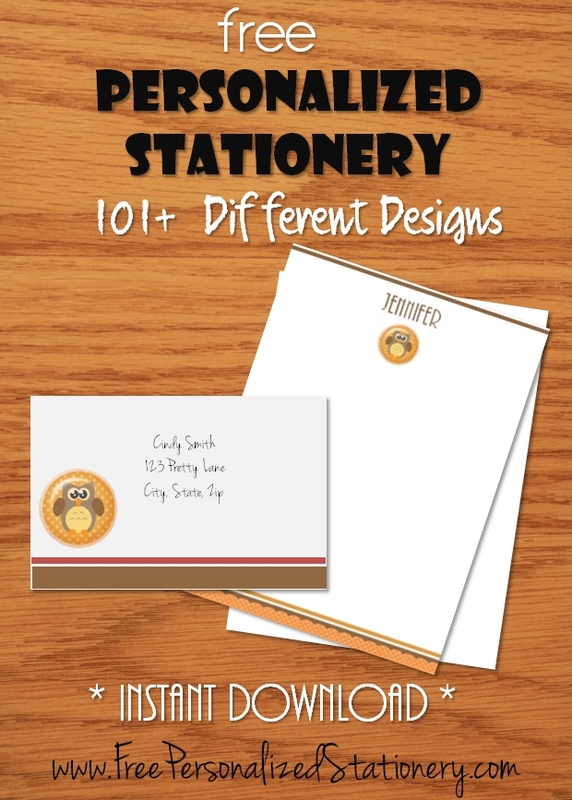 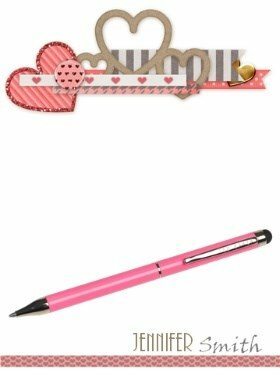 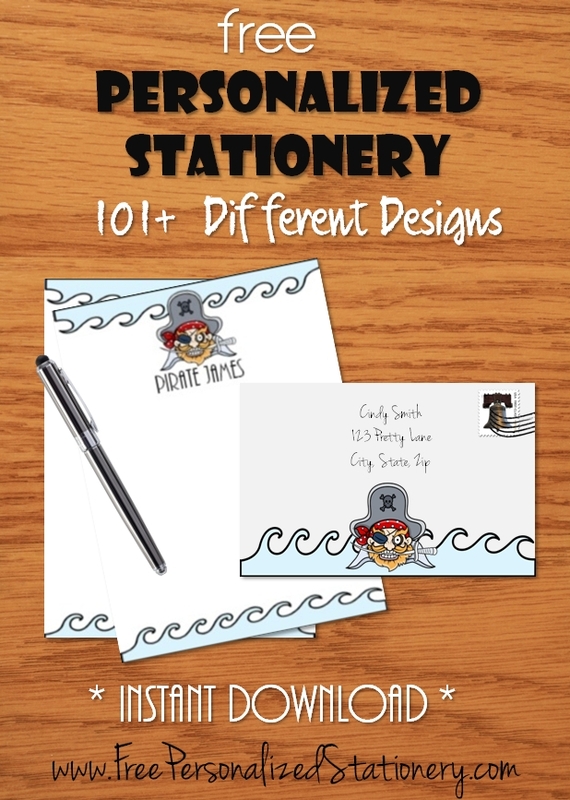 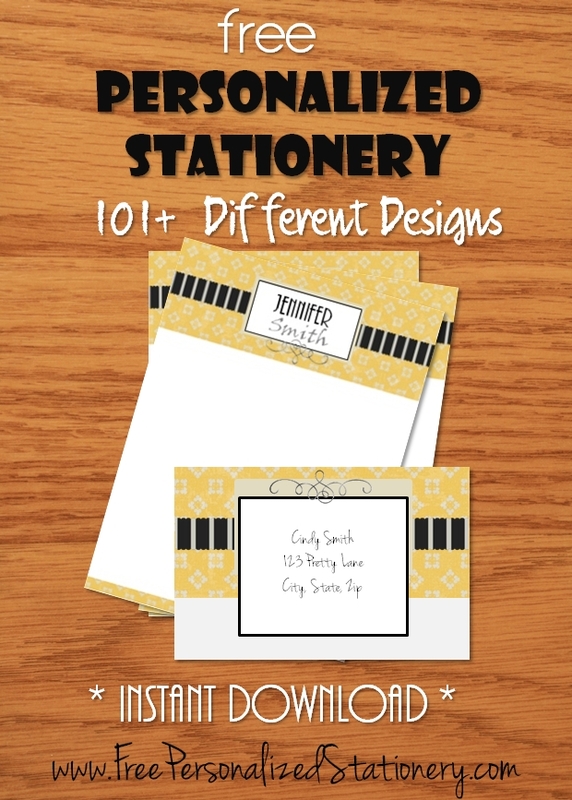 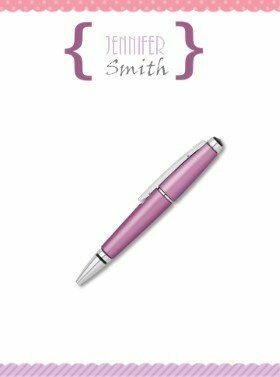 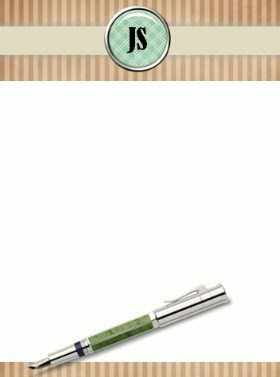 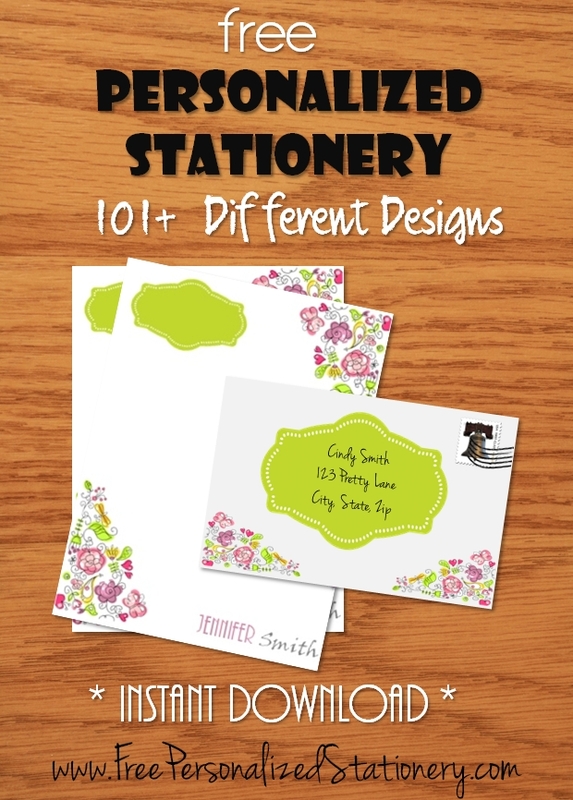 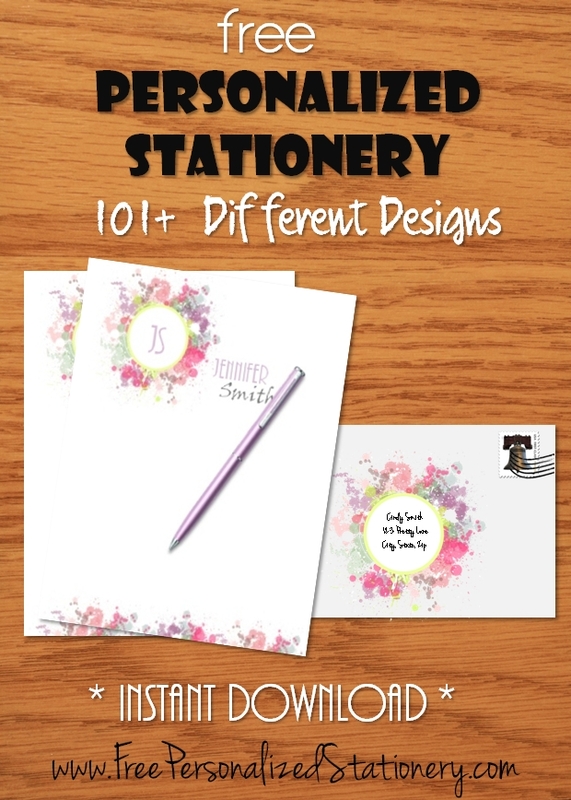 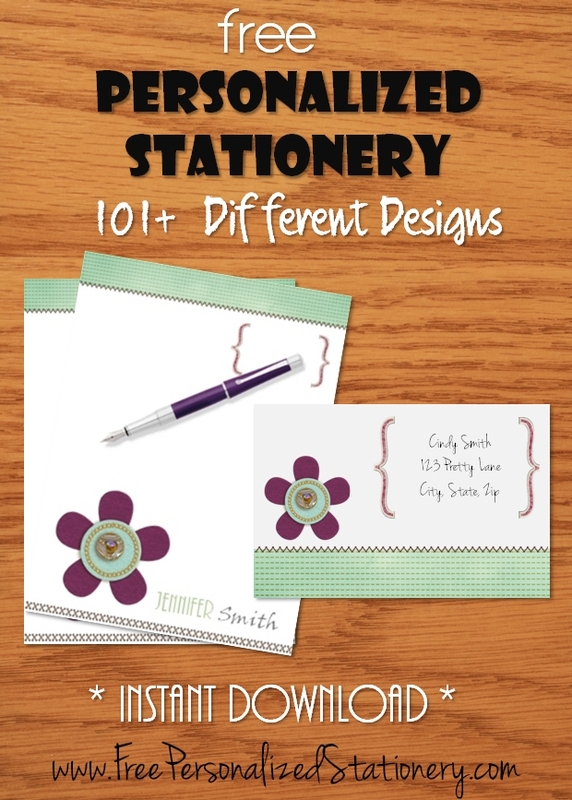 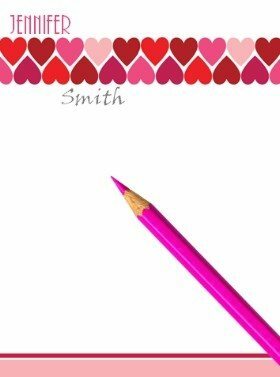 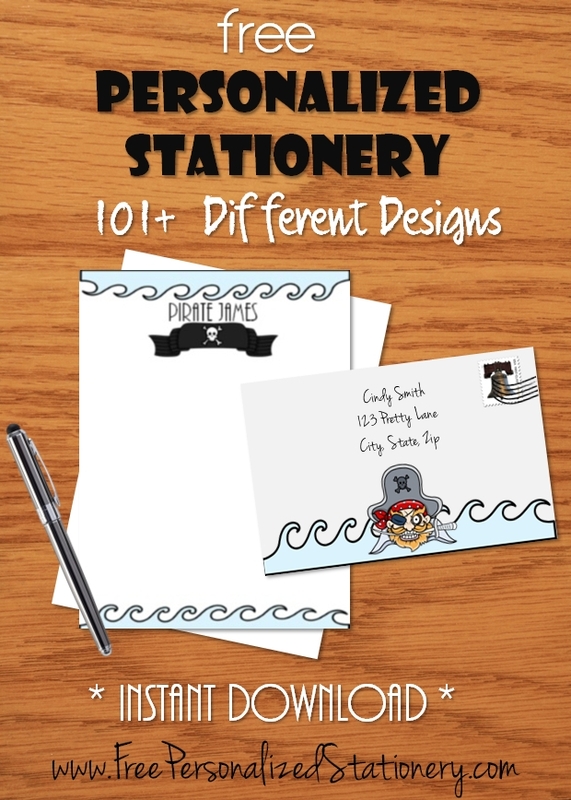 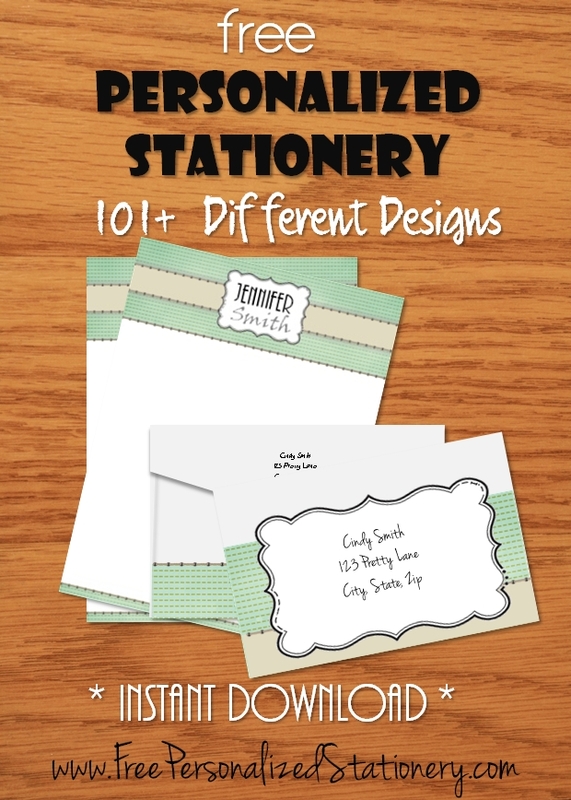 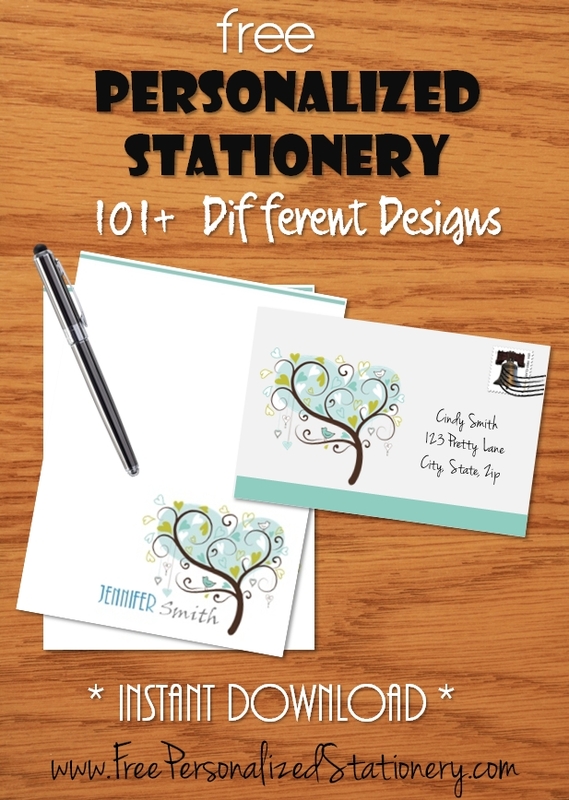 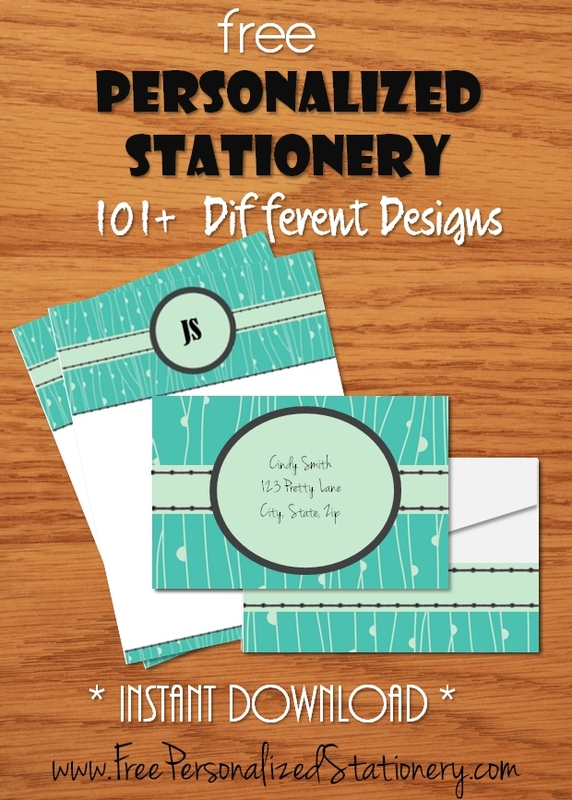 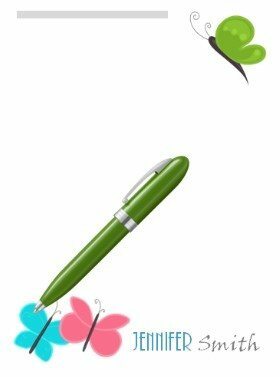 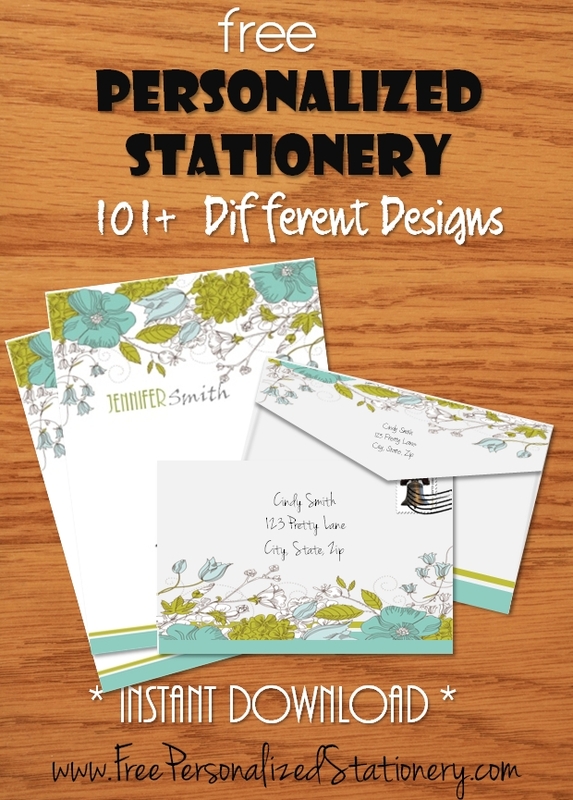 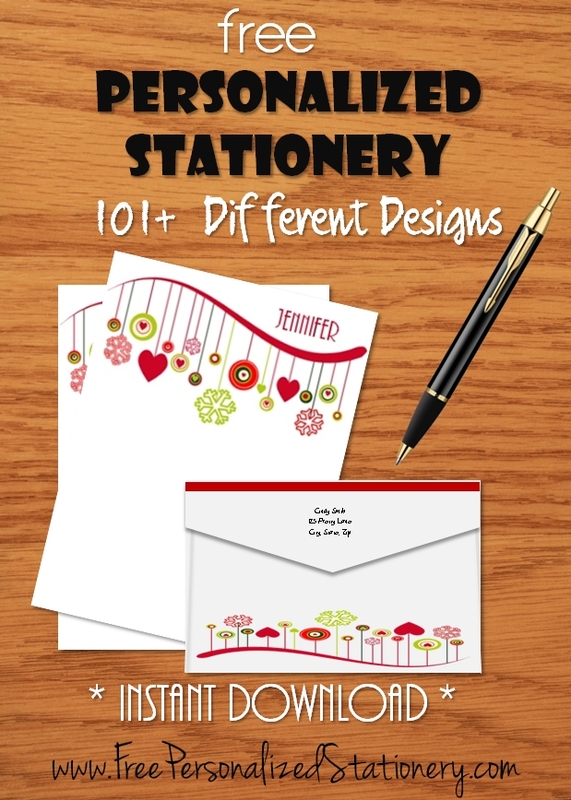 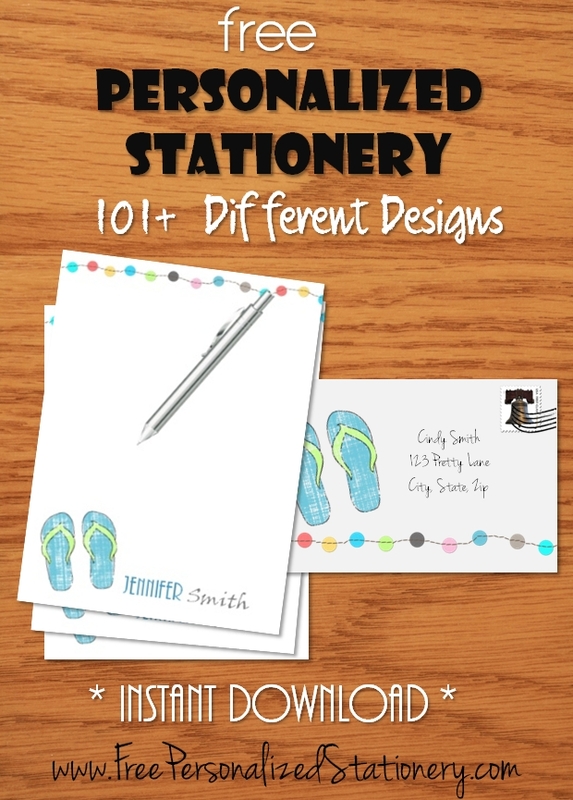 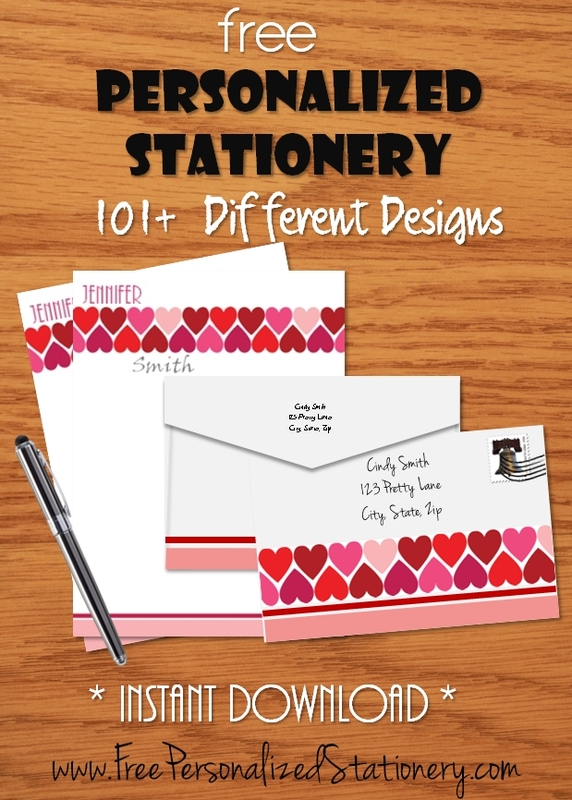 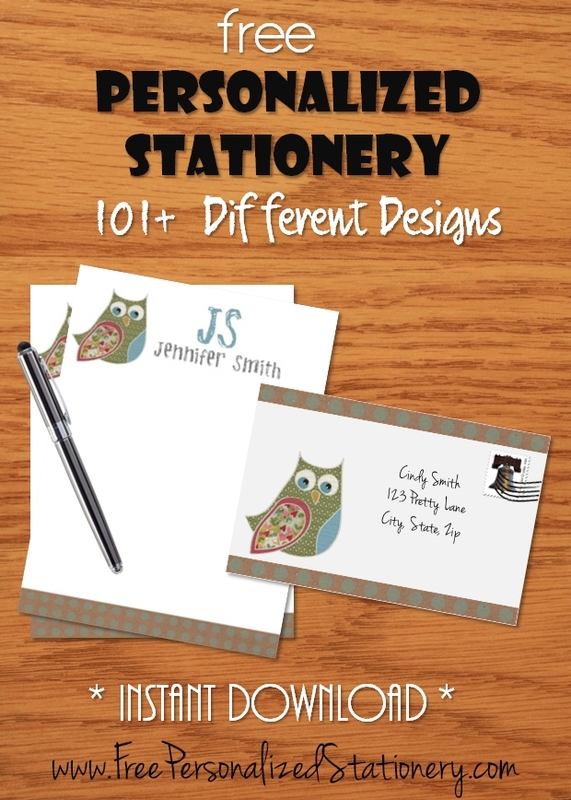 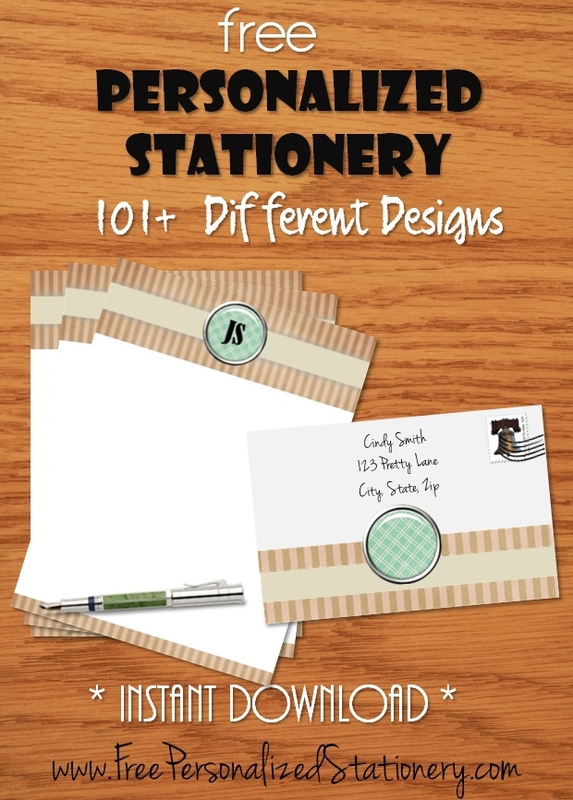 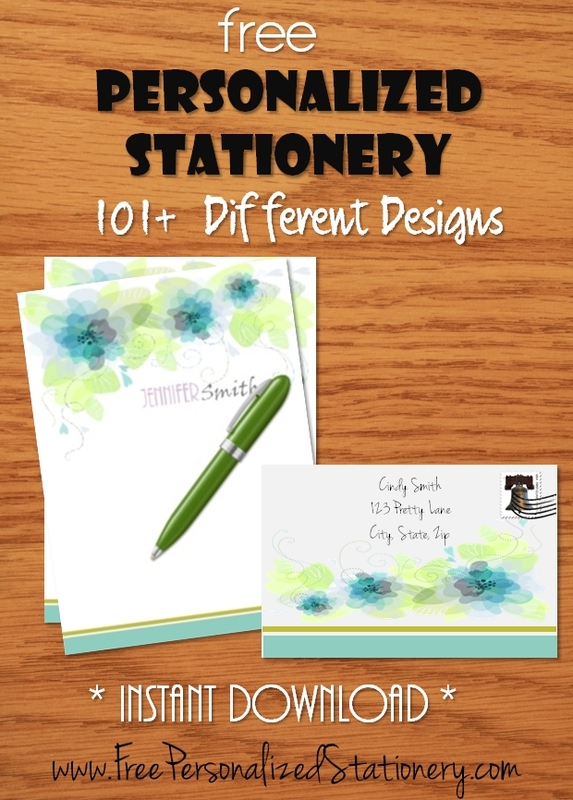 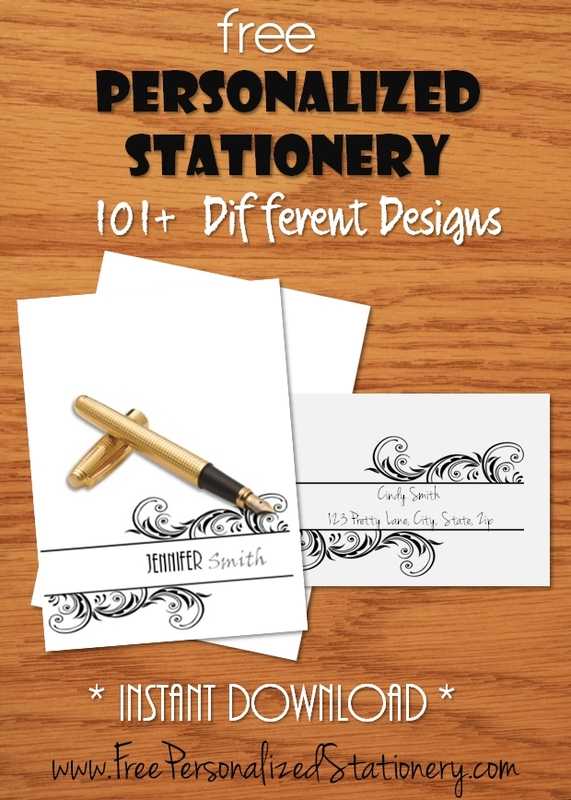 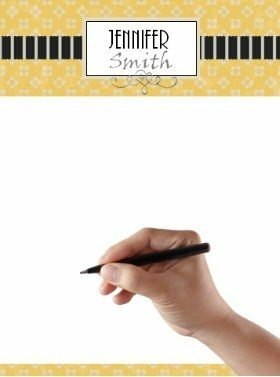 This site offers free personalized stationery that not only costs nothing (besides the cost of the paper and ink) but there are also no minimum quantities. 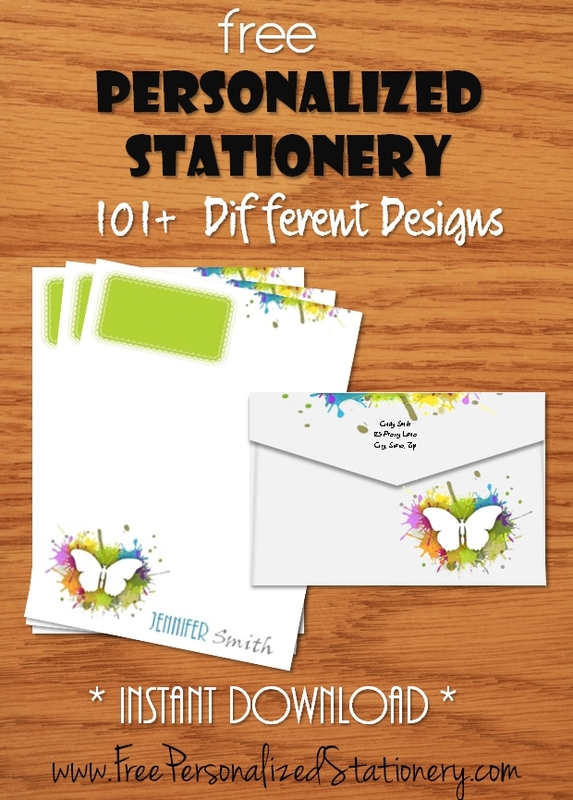 You can print on demand and even print a new design each time. 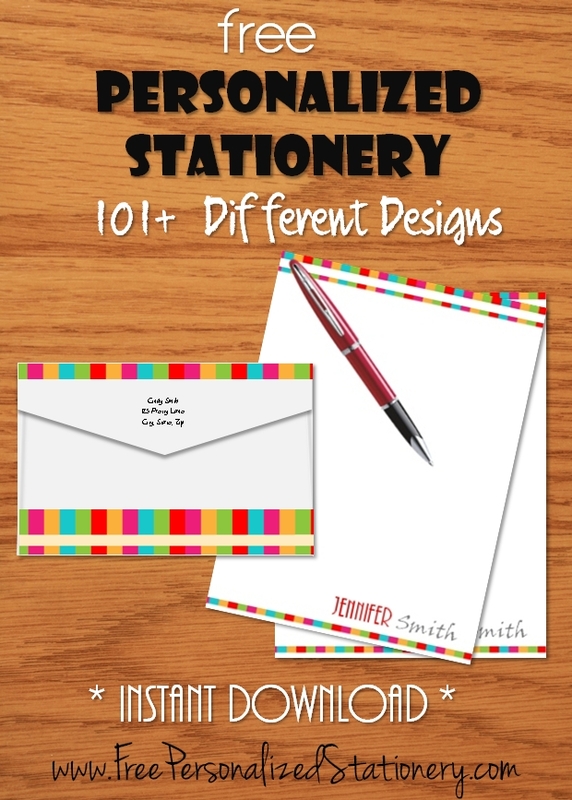 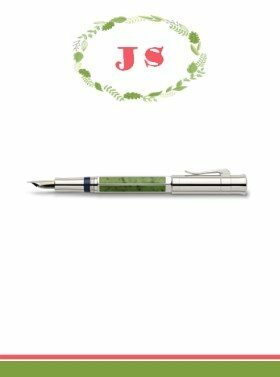 Some letters require more traditional stationery and yet for others you might want something more fun. 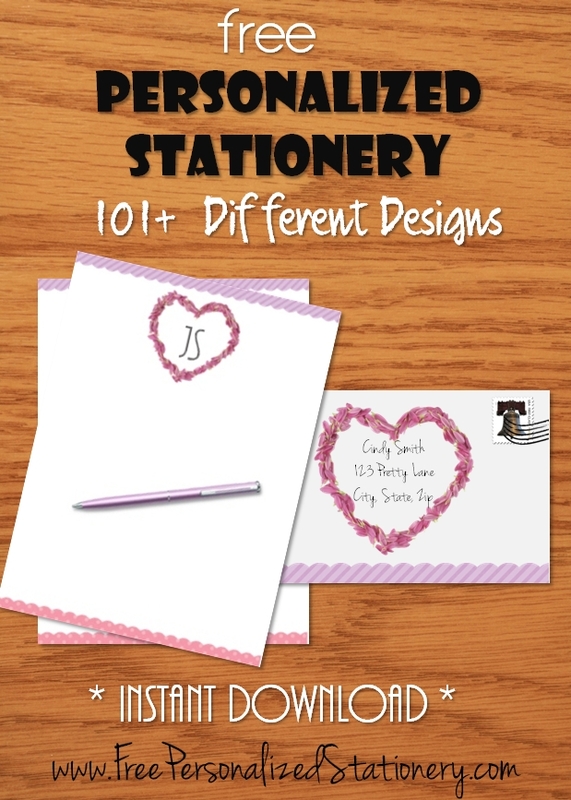 Kids might want stationery that is a little childish and fun yet men might want stationery that is more masculine and of higher quality. 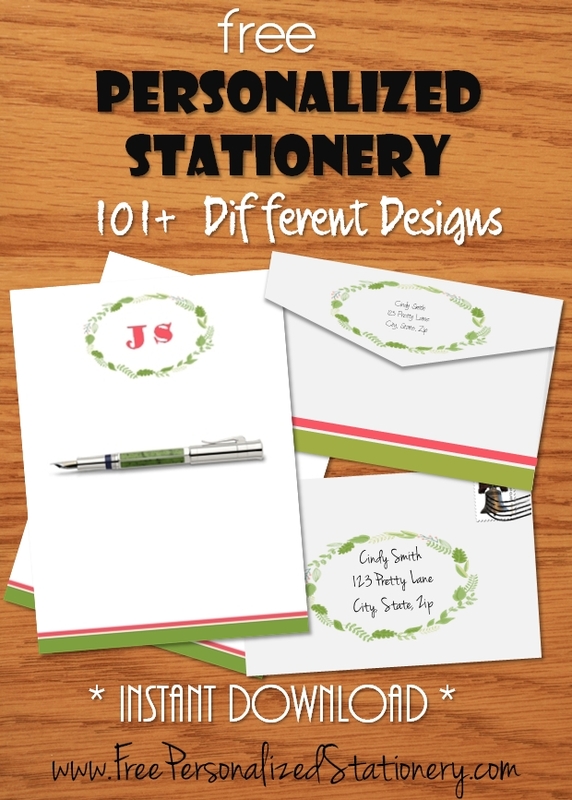 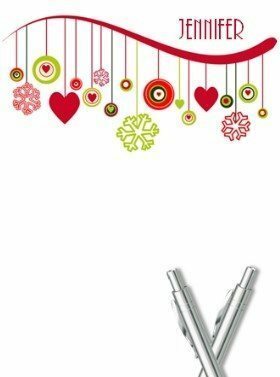 Each member of the family can print their own stationery on different quality paper. 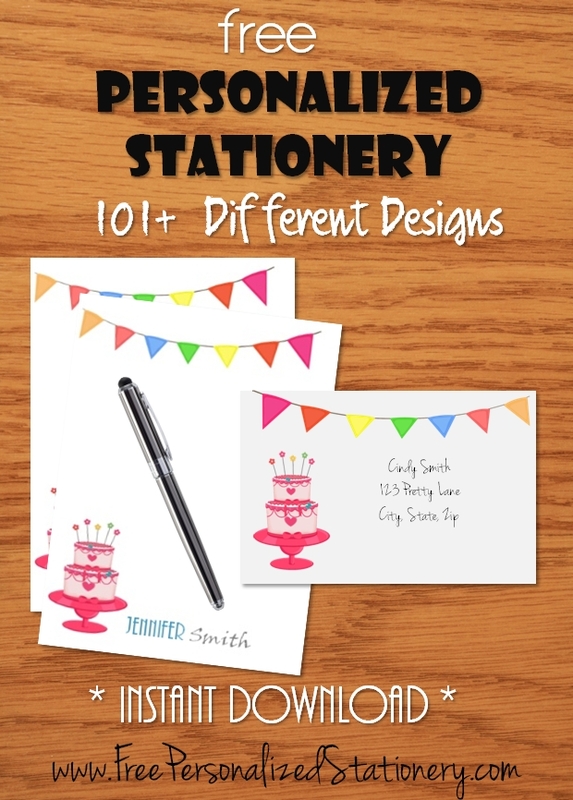 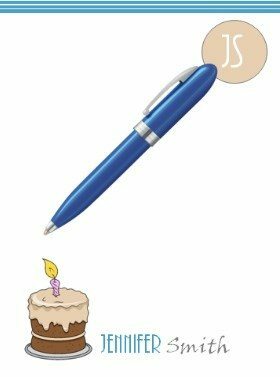 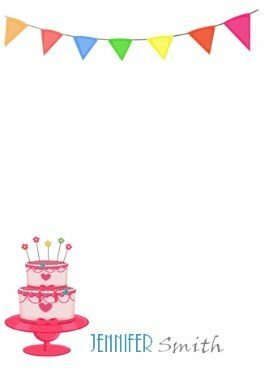 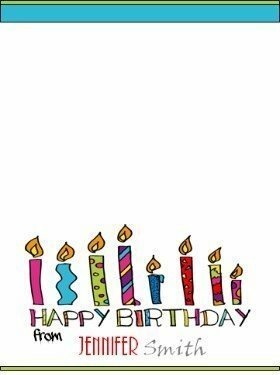 You can even print a few different versions for different occasions or moods. 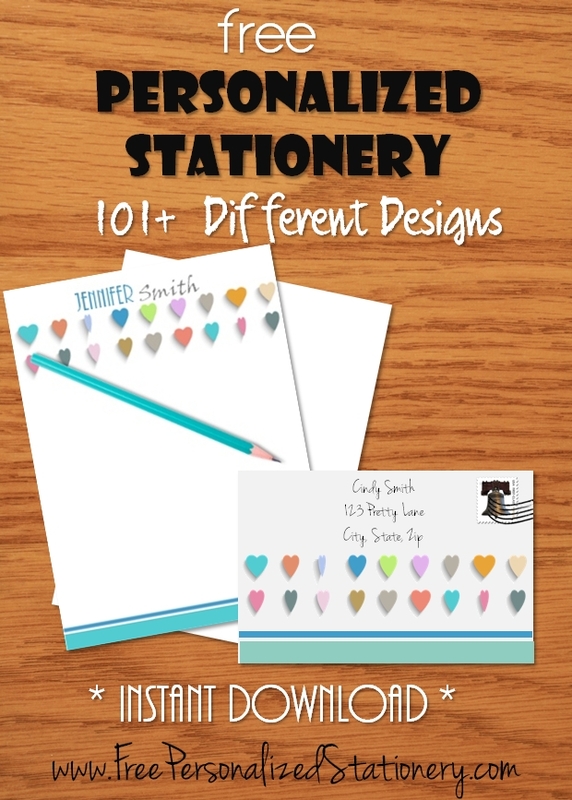 Which paper should be used to print the personalized stationery? 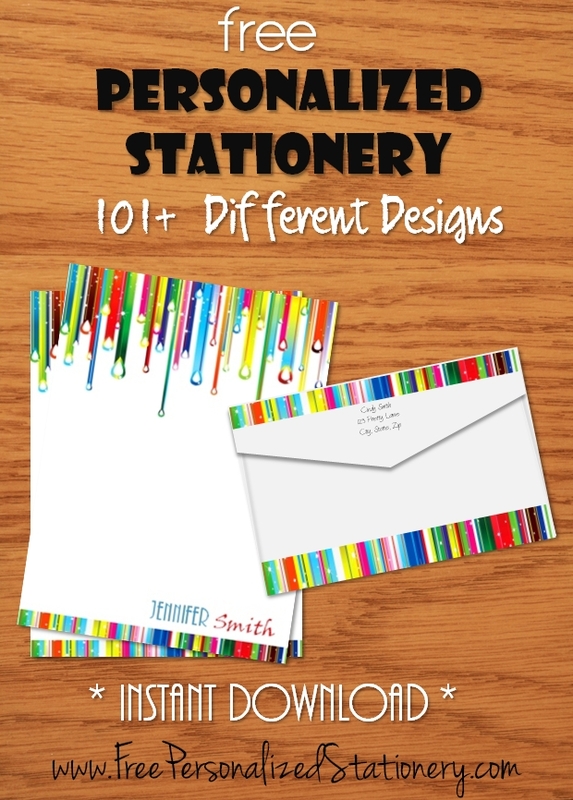 For kids, regular printer paper is sufficient whereas adults might prefer paper of a higher quality which can be purchased at most office supply stores. 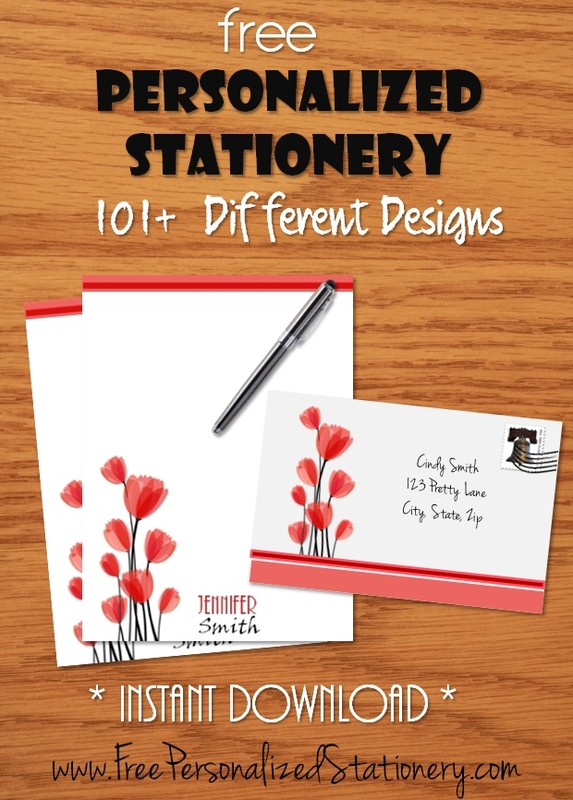 For adults, we suggest using two kinds of paper to print your personalized stationery: regular printer paper which can be used for casual letters to friends or family and high quality textured paper for more formal letters. 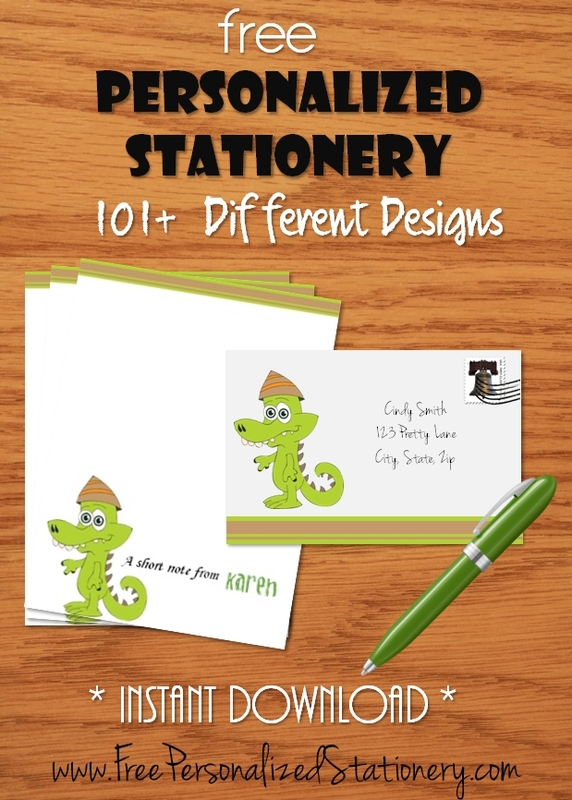 Printing your personalized stationery on quality textured paper can transform regular stationery into luxury quality stationery and it still won’t cost that much since all of our stationery is free so all you need to purchase is the paper and the ink. 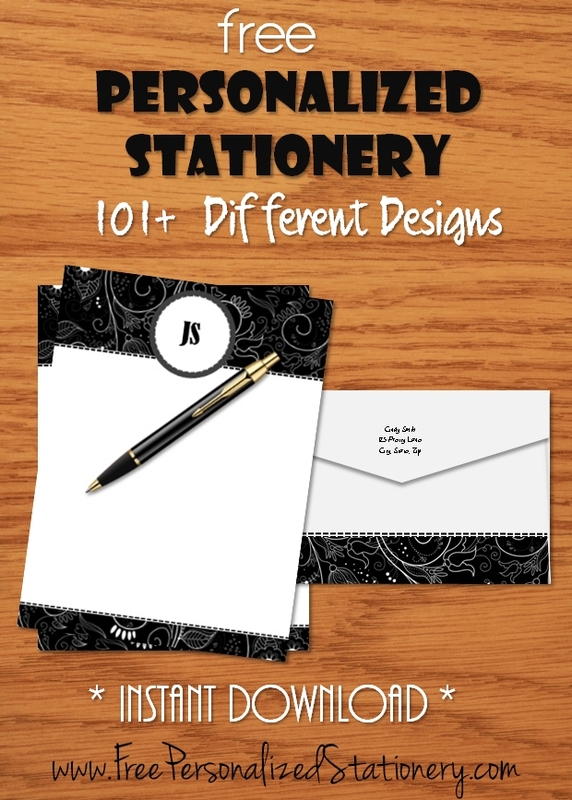 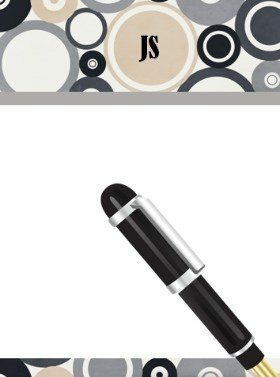 For formal and long letters use our classic personalized stationery or monogrammed stationery printed on quality paper. 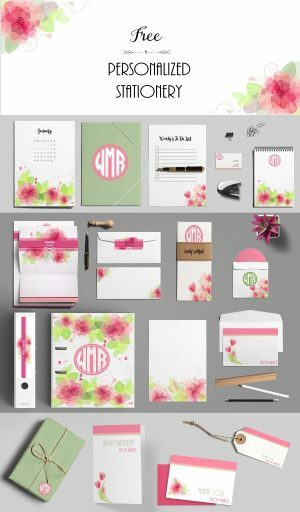 You can use personalized or monogrammed stationery for the first page and matching blank paper for additional pages (choose stationery with an identical design but without the monogram and/or name). 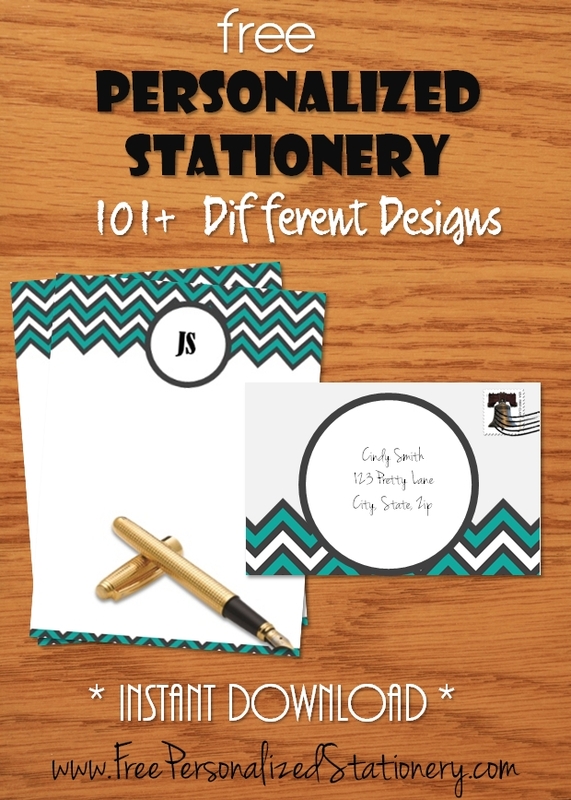 Either use return address labels or print on purchased envelopes but the DIY envelope templates on this site are not appropriate for formal letters. 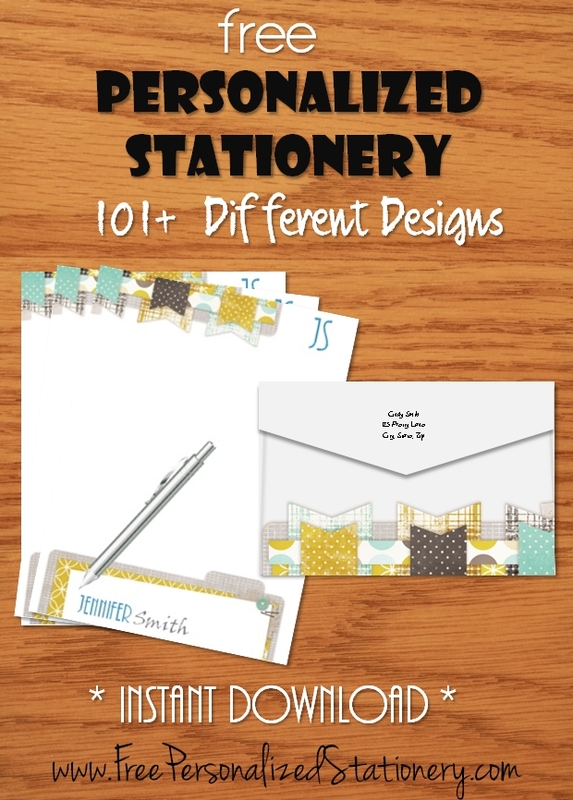 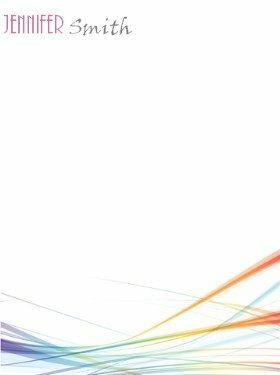 For informal and long letters use our classic personalized stationery or monogrammed stationery printed on regular or high quality printer paper. 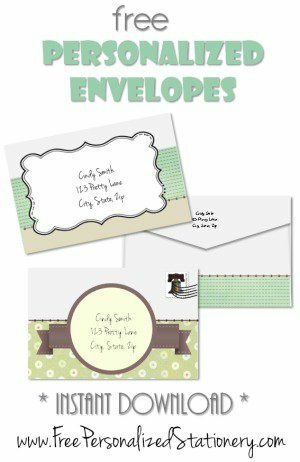 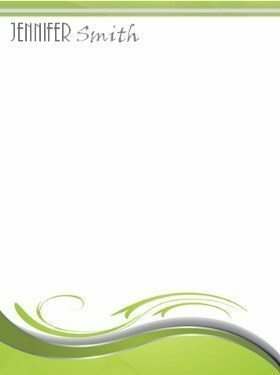 Use can use our envelope templates, return address labels or print on ready-made envelopes. 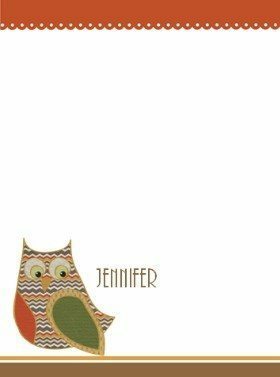 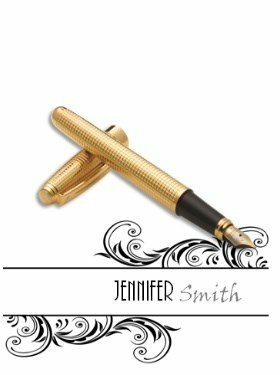 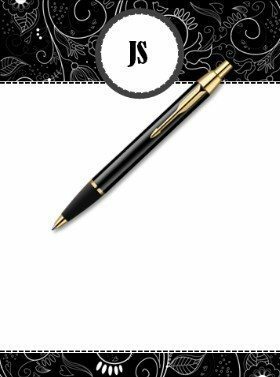 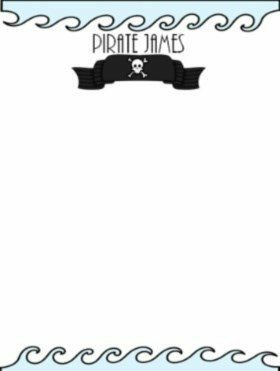 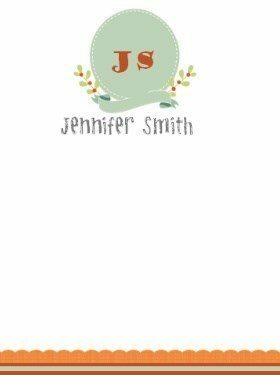 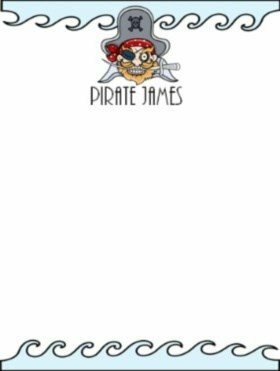 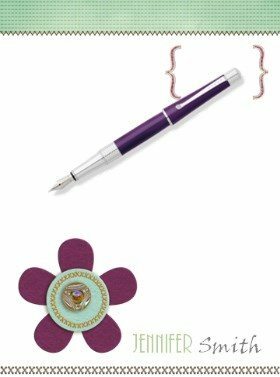 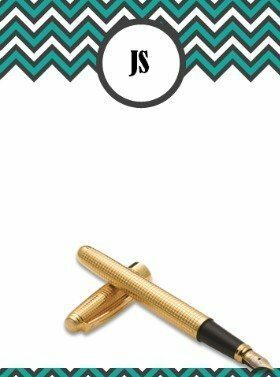 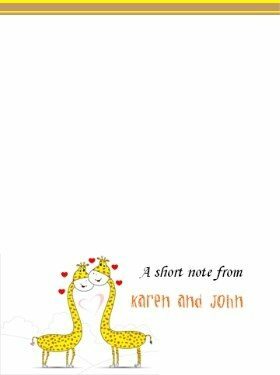 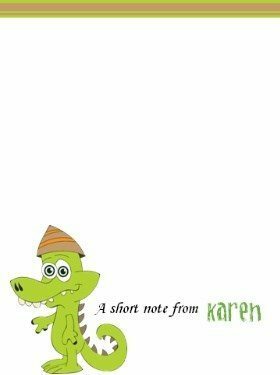 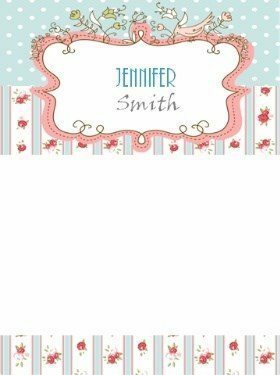 For formal and short letters use our personalized notes or print personalized stationery with two or four images per page and cut the page down the middle. 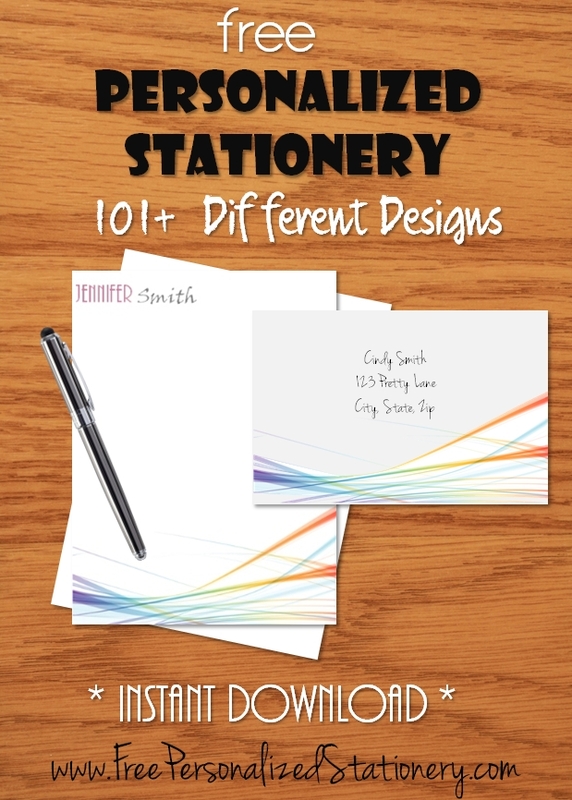 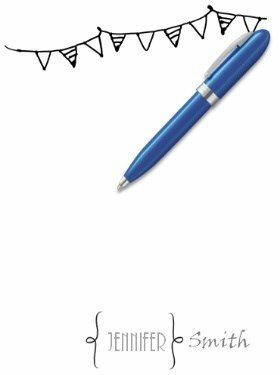 Most printers enable you to repeat an image twice or four times on a page enabling you to create personalized notes using any of the classic stationery. 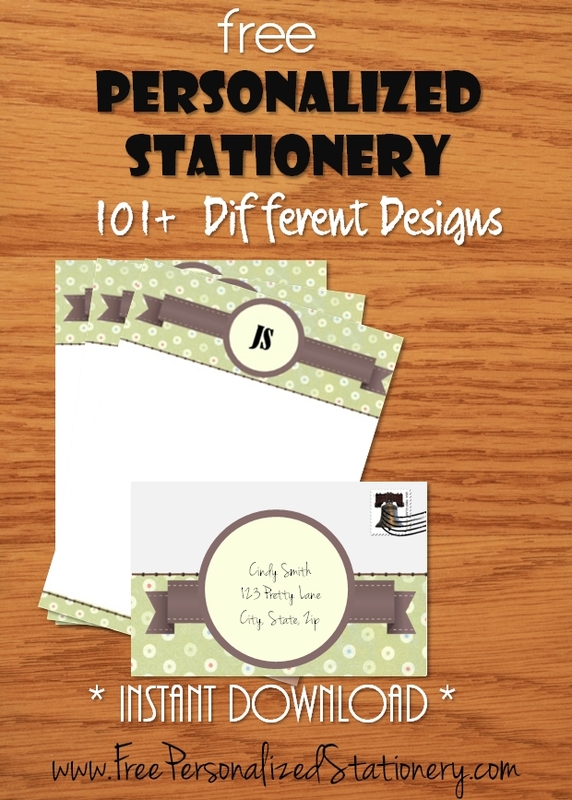 Use regular paper or cardstock. 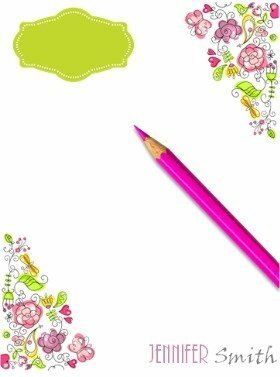 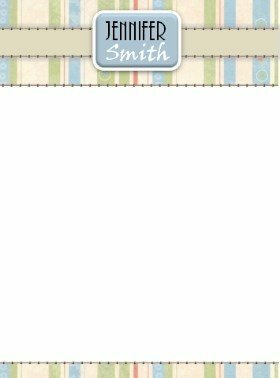 For informal and short letters print a few images per page (as above) but use cardstock or quality textured paper.